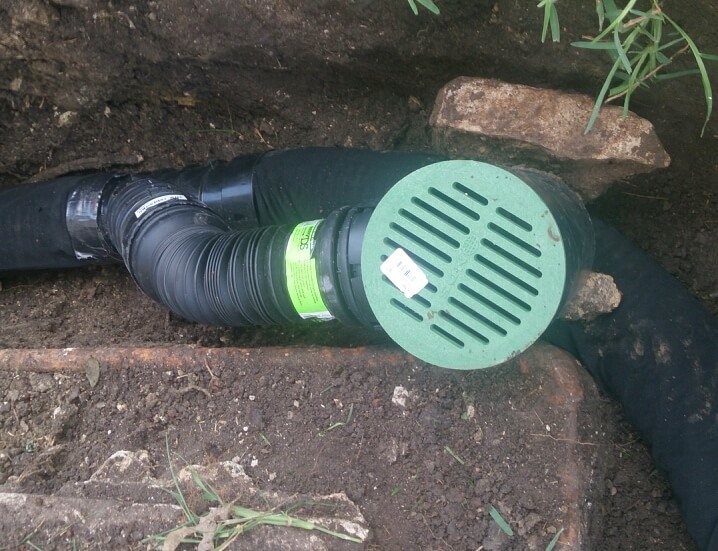 If you’re having foundation drainage problems, you’ll benefit from installing a drain around your foundation. Property owners utilize these drains because they minimize water damage on slab and pier and beam foundations and can prevent the need for foundation repair. Fortunately, there are several effective drains that can stop the harmful effects of floodwater. This will minimize the need to fix your foundation. If you have standing water around your foundation, deterioration can become an issue. By installing a drain under your house, you can prevent water from accumulating around your foundation. As many Dallas Fort Worth property owners have discovered, moisture has harmful effects. For one thing, foundation water damage can force a slab foundation upwards. This phenomenon is commonly referred to as “upheaval.” Pier and beam foundations can also be severely affected by moisture. Over a period of time, even small amounts of water can erode your foundation. It does this by causing the earth beneath your house to contract. The motion associated with contraction (as well as expansion) can lead to harmful foundation cracks. What’s more, moisture can cause mold, mildew and rot in pier and beam foundations. It can also wreak havoc in crawlspaces. For this reason, it’s essential that water be routed away from your house. It should be carried out to the street or the outer edges of your yard. If you have questions, you might want to read about choosing foundation drainage: French vs. Surface. You’ll discover that a number of great options are available to you. The quickest way to learn whether or not your structure needs to be serviced is to contact a qualified foundation repair contractor. A professional will let you know if you need to install a drain due to any type of water-related issues. If so, we’ll make solid recommendations regarding which type would be best for you. Sometimes it comes down to this: Drains or foundation repair. Either way, it’s always more affordable to terminate destructive forces. Remember: Problems only get worse. Considering the number of flash floods that occur in the country, it’s highly possible that your property needs attention. If you see 1”, 2” or even 4-5” of water standing around your house or inside your crawlspace, contact a professional and get a foundation evaluation. It is important to access the extent of deterioration that has occurred in your foundation. After that, a professional can restore those areas of that have been impacted by moisture, including under slab plumbing leaks. If you’re worried about your house or commercial structure, take steps to avoid foundation damage by installing highly efficient drains. Contact HD Foundations for an evaluation. We service the entire DFW metroplex.